Local artist and writer Nadjib Adebola Assani will be sharing about his work and experiences creating a comic and animated feature on February 24th at 3pm in our cafe. Follow this event as we add more information HERE. 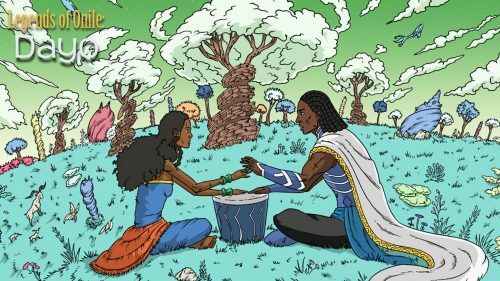 Legends of Onile are stories set in a fantastical world, with unique characters who, although heavily based on African characteristics, are meant to relate to all, regardless of background. While the stories are action packed and full of African humor, they also explore very important themes. Included in each story, are the themes of solving disputes without resorting to lethal methods, showing compassion to others regardless of differing backgrounds and learning how to turn negative situations into positive ones. Learn more about Nadjib’s work HERE.